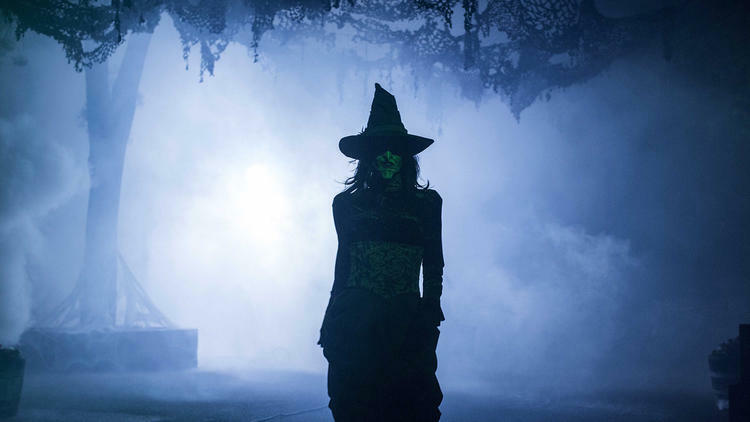 Besides returning for the Trick-r-Treat maze, the iconic Green Witch will haunt the Calico Mine ride for Halloween 2014. Dates: September 25-27; October 2-5, 9-12, 16-19, 22-26, 29-31; and November 1. Hours: 7pm to 1am on weekdays and Sundays; 7pm to 2am on Fridays and Saturdays. Description: The Knotts Berry Farm Halloween Haunt disgorges the denizens of Hell for another season of horror. New features for Halloween 2014 include two new mazes (The Tooth Fairy and Voodoo*); a completely revamped and expanded Trapped: Lock and Key; a shoot-to-kill scare zone (Special Ops: Infected); and a season pass that allows you to return as often as you like. Also, after a revamp of the Calico Mine Ride last year, the Green Witch will return to haunt the depths of the caverns this Halloween. Returning mazes include Black Magic*; Dominion of the Damned*; The Gunslingers Grave*; Pinocchio Unstrung*; Trick or Treat; and Forevermore. Those with asterisks include a Skeleton Key Room, which provides extra, up-close-and-personal scares for guests with VIP tickets. Camp Snoopy will be transformed into a unique Scare Zone, Special Ops: Infected, which requires you to enlist for a time to enter, whereupon you will be equipped to shoot zombies as you try to complete a mission. Other scare zones include CarnEvil, Ghost Town, Gypsy Camp, and Fiesta de los Muertos. Shows include the perennial favorite The Hanging, and Elivra will return to the Charles M Schultz Theatre. Tickets for single-night admission range from $39-49. 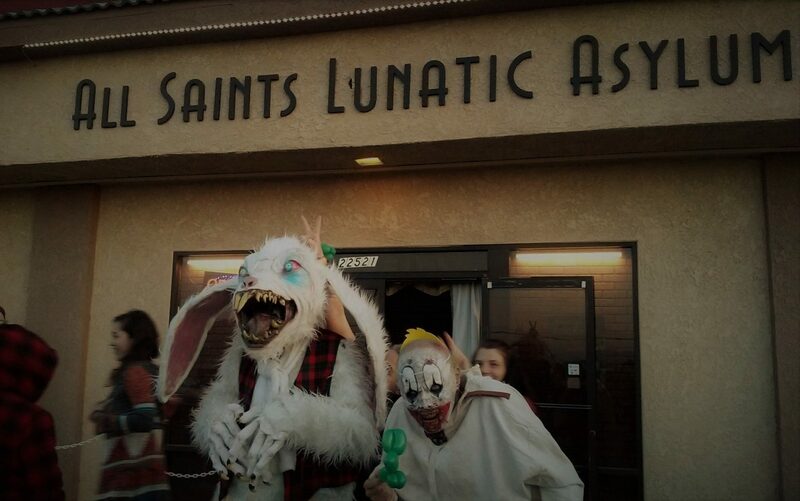 Admission tickets with Fright Lane and Skeleton Key privileges starts at $99. The Season pass is $65; if you want want the special privileges, you can purchase a Fright Lane Skeleton Key for the nights you attend. All of the year-round rides will be open; there is a Fast Lane pass for those who want to ride the roller-coasters. And once again, Knotts Scary Farm offers a Boo-fet Dinner before the park opens for its night-terrors. Cost is $29.99 in advance, which does not include admission to the park, but if you have your ticket, you can get into the park early.